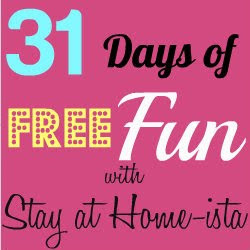 Stay at Home-ista: Favorite Movie Character- it's a living room! It's the living room from Something's Gotta Give, that great movie with Diane Keaton and Jack Nicholson. Thankfully Architectural Digest did an article on the sets, so that's where all the images are from. I love the light, the blues and whites, the stairs, everything. It's no surprise that my favorite character isn't a person, it's a room. 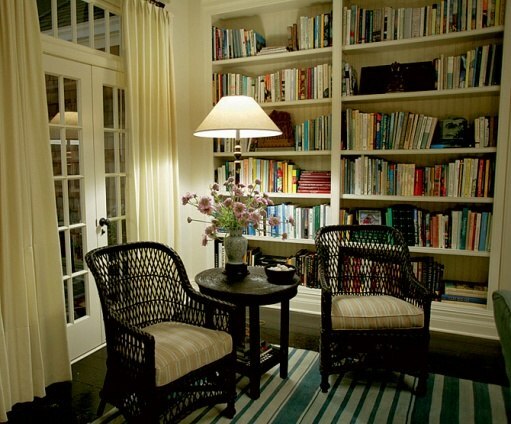 Plus, this is a room in the Hamptons, which just makes it even more perfect. The outside of our house is brown shingles with black trim, a bit of a Hamptons-meets-Berkeley feel going on. Our living room has the light blue couches and the coral rug which in some ways remind me of this living room, but mine has way fewer accessories due to the three small people who live here and enjoy building pillow forts (don't worry, not with Linda's pillow!). My library, which thankfully is an entire room since I'm pretty sure no mater how creatively I stash my books on my mantles, I still need an entire room for them! Me: Wow, did you see the crazy couch in that last scene? Andy: What? Are you even watching this movie? 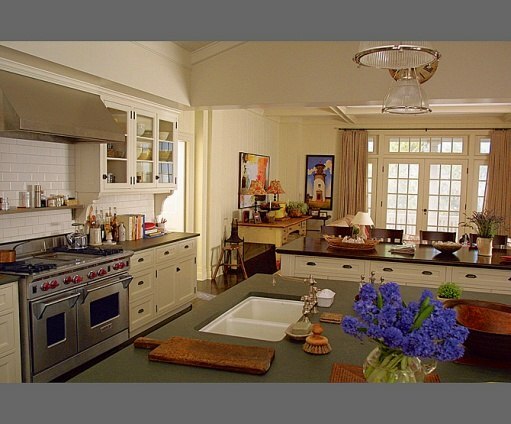 BTW, I would take your kitchen over that movie kitchen in HEARTBEAT. I LOVE this movie! I like your house better! I absolutely LOVE this movie, but I really like your house a lot more than Diane Keatons! i love these rooms!! hi, new follower here! Yours is better, hands down! I remember that house from the movie....amazing and so much inspiration (just like I feel about your house)! Oh my gosh....I am in love with this set. So stink in cute! I agree with another commenter who said they pay way too much attention to the decor in movies. I am like that with disney channel shows when my kids watches them. 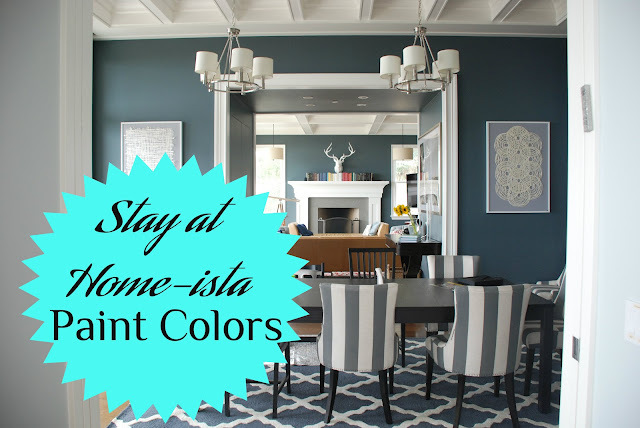 They have bright kitchen colors and funky design...does that make me a teeny bopper? Sometimes I miss the plot as I'm dissecting the decor in movie homes!! Envious of your bookshelves!! I had a wall of them in our old home office but not in this house. Donated about a dozen boxes of books (I miss them - sob)! I love that living room set up, pinning for inspiration for my future room makeover. Thanks! I agree the movie set rooms were wonderful, I love her writing desk and bedroom in this movie too. Thanks for sharing!